Ballet Bag. LAST ONE! Pink & Grey. Shoes Slippers Dancewear. 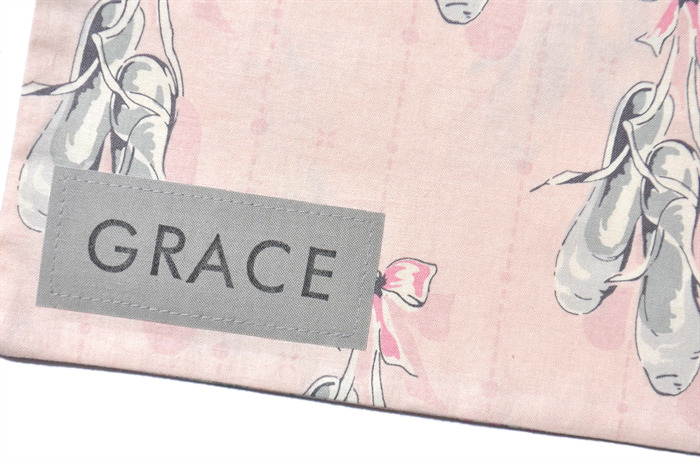 BALLET COLLECTION - This very sweet designer print featuring ballet slippers is ideal for carrying and storing ballet slippers and dancewear. 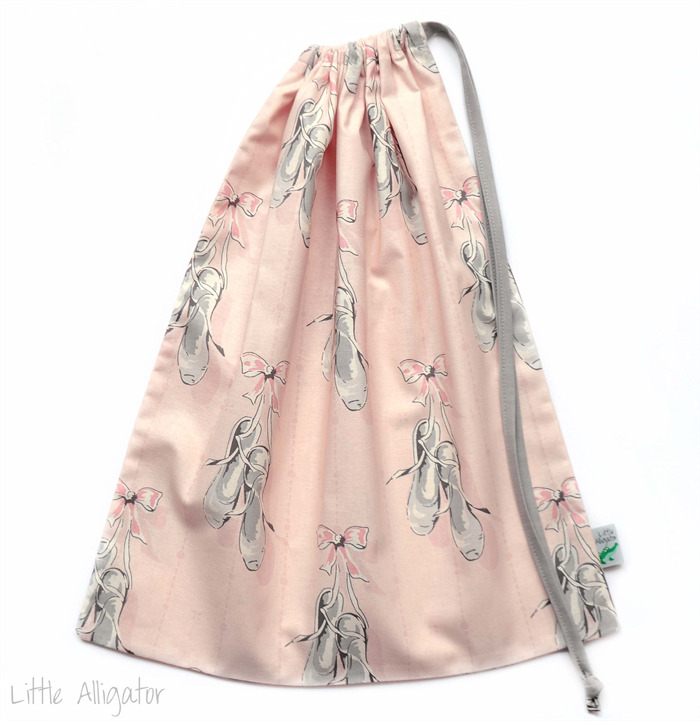 The roomy bag will suit ballerinas of all ages and will fit their shoes, leotards, cardigans and tights or skirts. It's such a versatile bag and is made to last so your young girl is sure to get many years of use out of it! The large, durable drawstring bag is also perfect for use as a school or kindy library bag. It's designed so that you can fit in books, cot sheet & toys. Perfect for taking on holidays and in the car too. Kids get such a kick out of having their name on their gear! I can personalise it for you and make it an extra special gift for your child. Name panel costs $7 extra. The name is hand stamped (and set using high quality black fabric ink) onto coordinating fabric and then sewn onto the bottom corner of the bag. The recommended colour of the name panel for this bag is “light grey” with ink stamped in capitals. Please comment at checkout (in message to seller area) if you would like this option and specify the colour & correct spelling of the name. 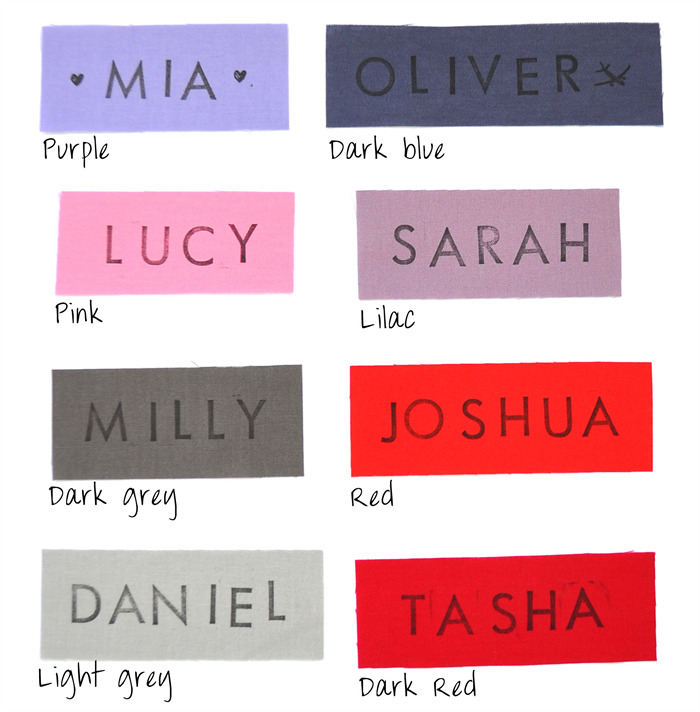 If you'd prefer a different colour name panel, please also specify at checkout. Don't forget to also purchase a Personalisation Option for $7. Carefully made with a 100% cotton designer quilting fabric. All seams have been overlocked and edge seams double stitched for durability. Features a handmade co-ordinating drawstring. Measures approx 34cm (13.5") wide x 41.5cm (16.25") high. Newsletter: http://eepurl.com/z8lxf. All subscribers go into the monthly draw to WIN a 50% off voucher!